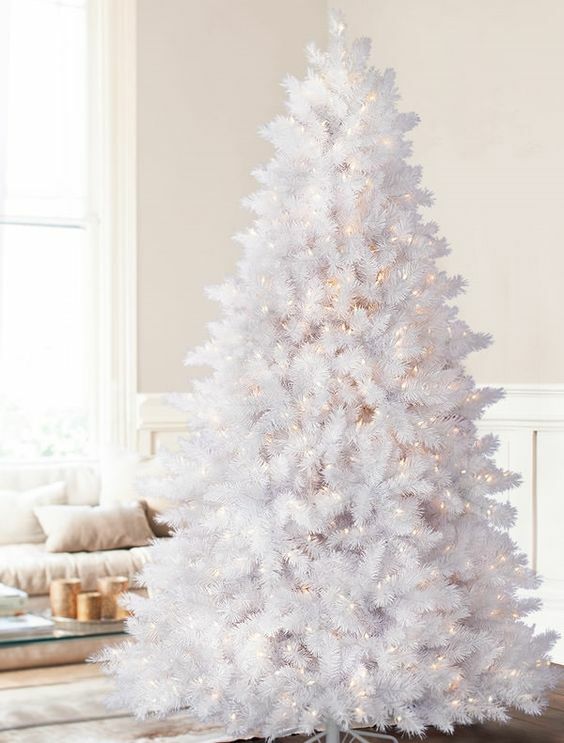 Flocked Christmas trees are extremely popular because they remind us of snow, and it’s especially cool if you don’t have any outside. 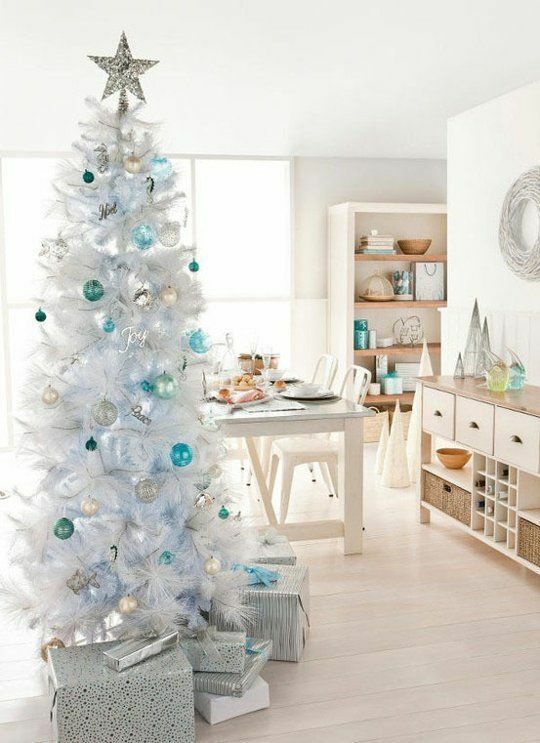 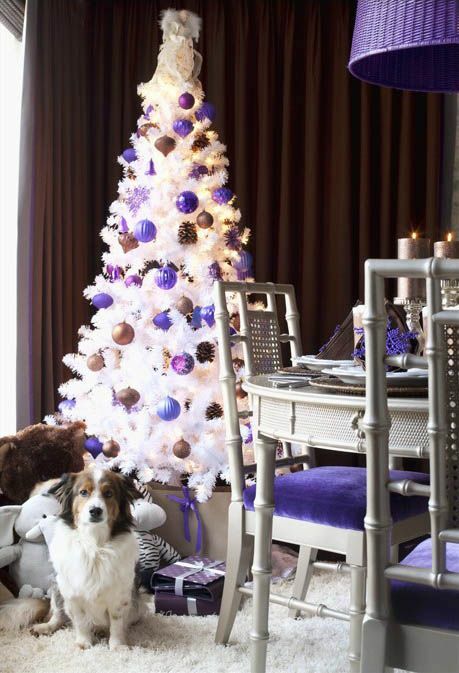 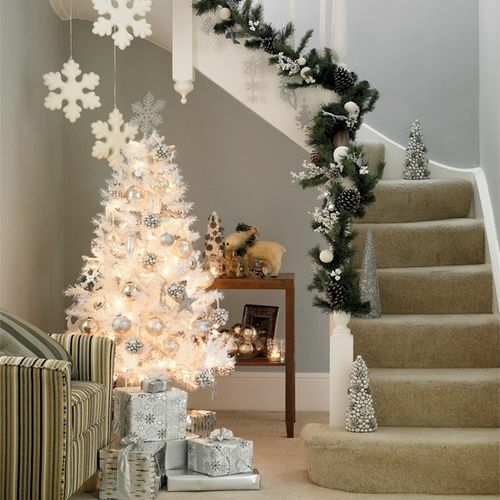 But a white Christmas tree is even cooler: it imitates a frosty Christmas tree and it’s easier to style. 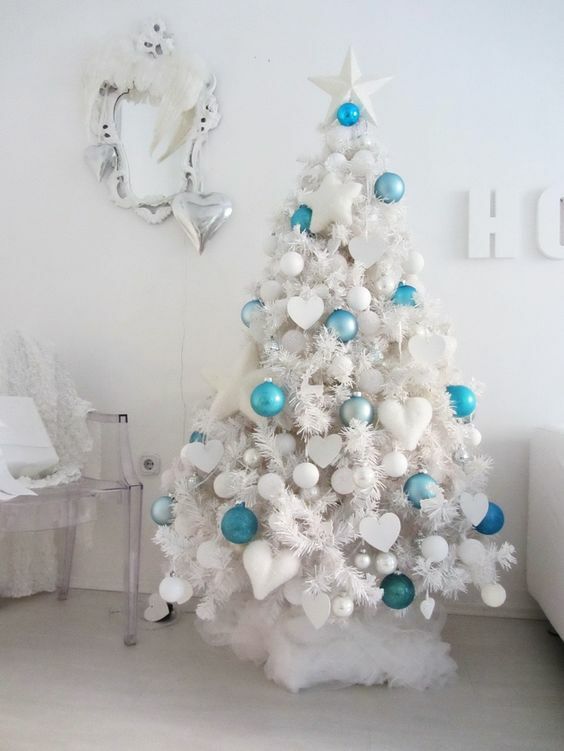 Wanna know how to decorate such a tree? 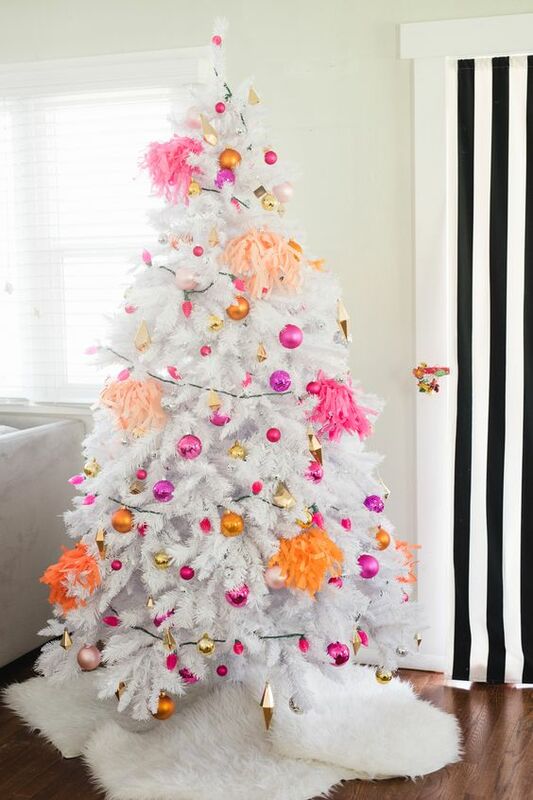 Here the edgiest ideas. 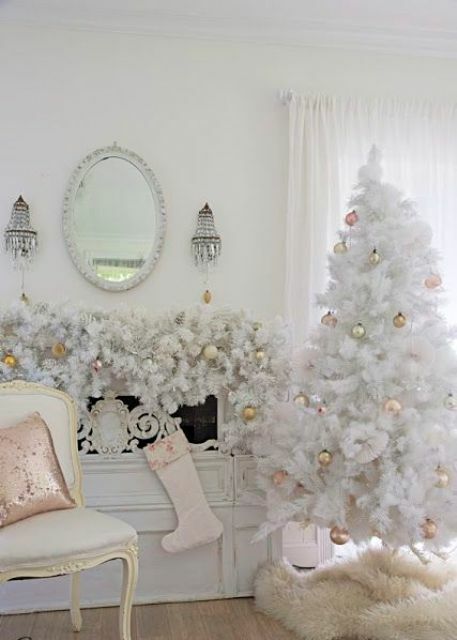 A pre-lit white Christmas tree is rather bold itself and you can leave it as it is without any decor, it will stand out. 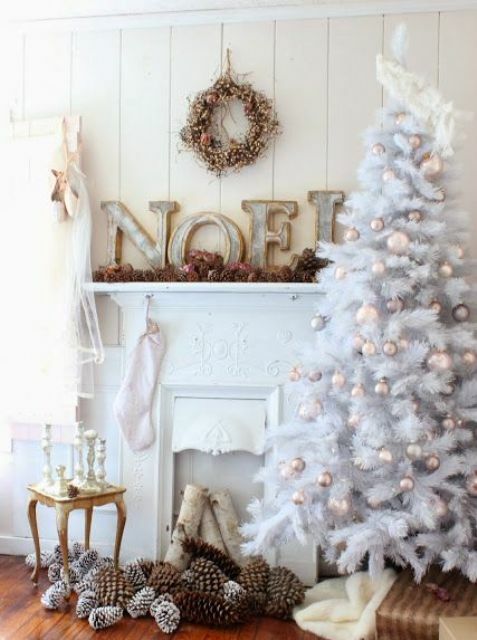 If you want a soft neutral look or some shabby chic charm, you can go for shiny silver, pearly and white ornaments and strands of pearls as garlands. 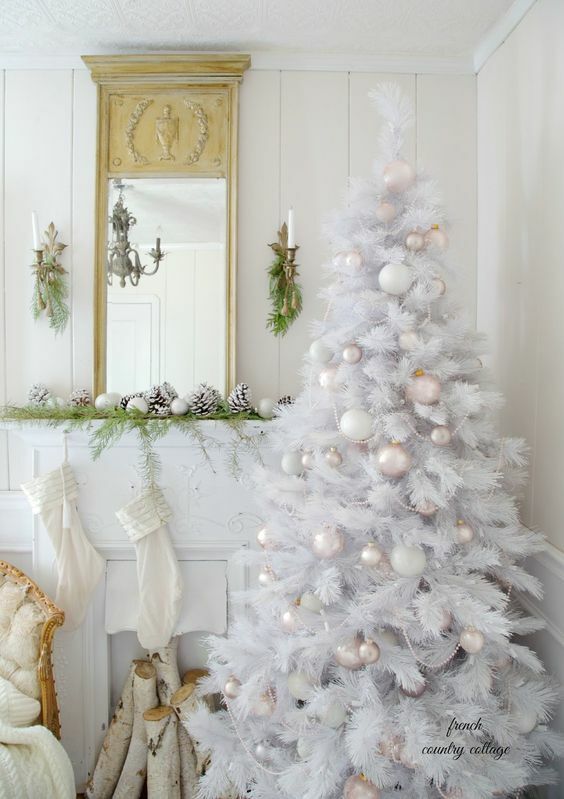 For a soft girlish look go for blush, champagne and creamy ornaments. 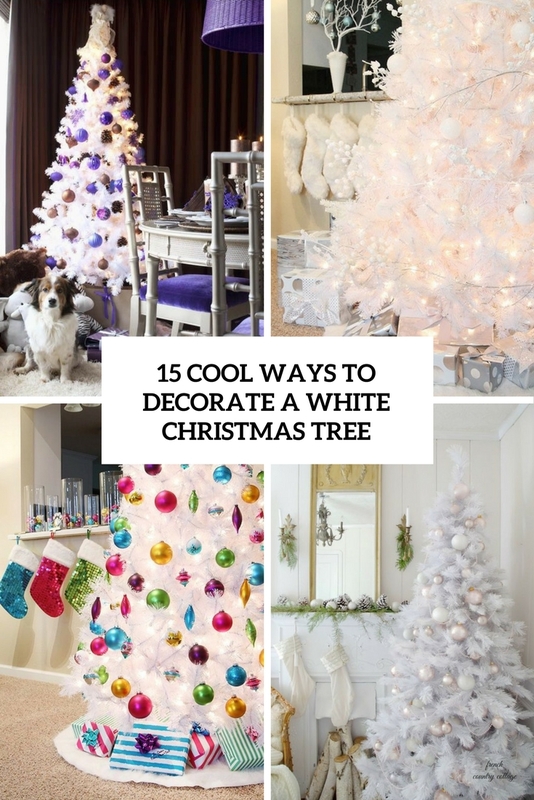 All-white ornaments on a white tree look nice, too, and you’ll get a frosty wintery look. 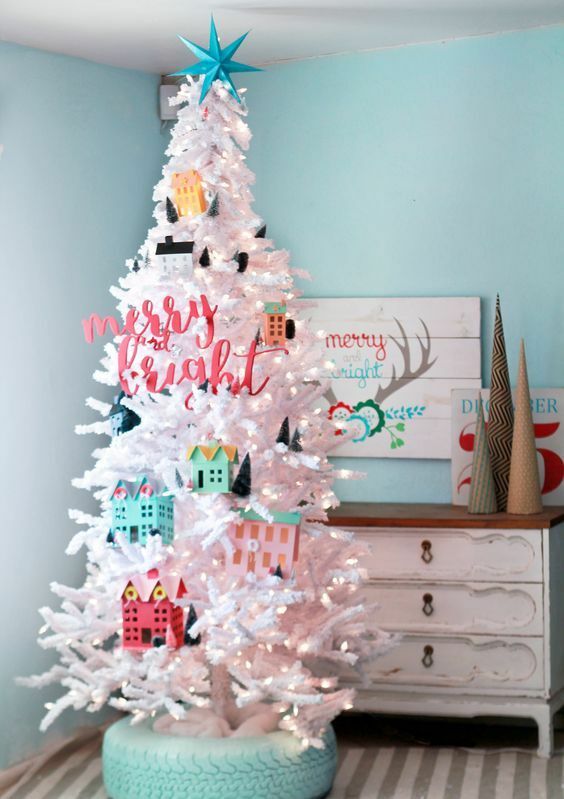 Your white Christmas tree will stand out a lot if you choose bold ornaments. 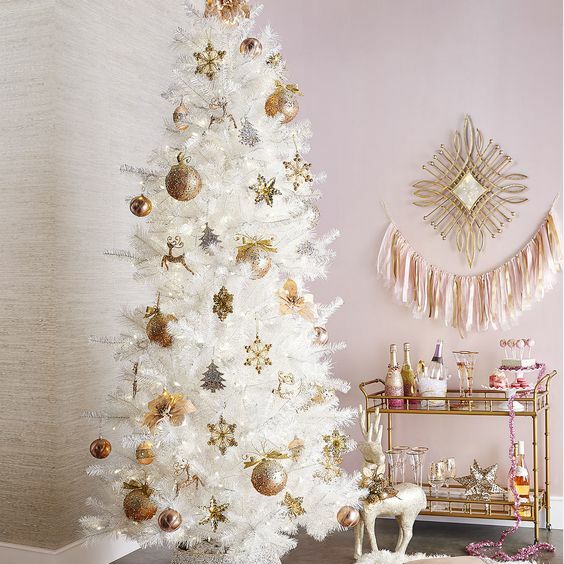 Gold and copper ornaments will look stunning and refined on a white tree. 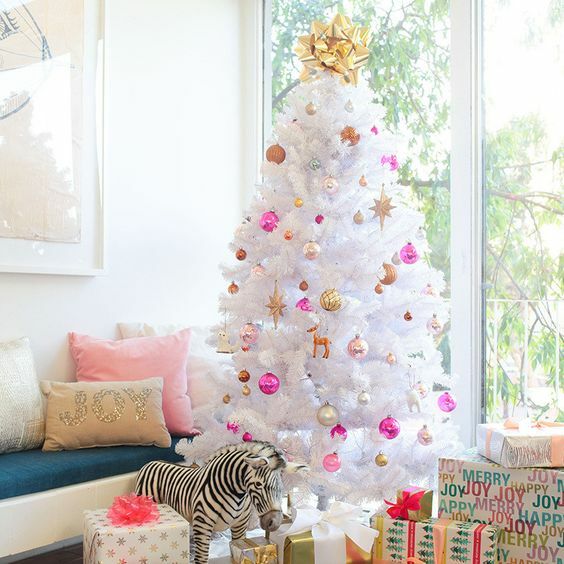 Colorful pink, fuchsia, orange and blue ornaments are nice to create a bold modern look. 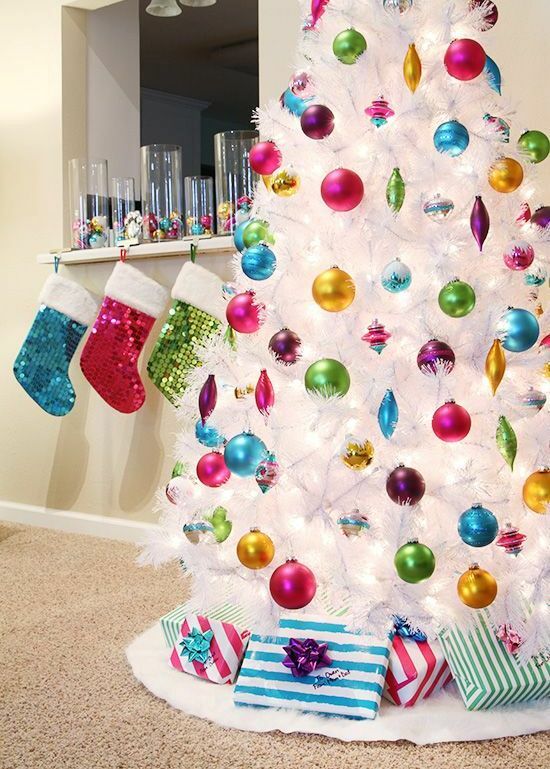 If you are decorating a kids’ tree, why not use ornaments of all colors possible? 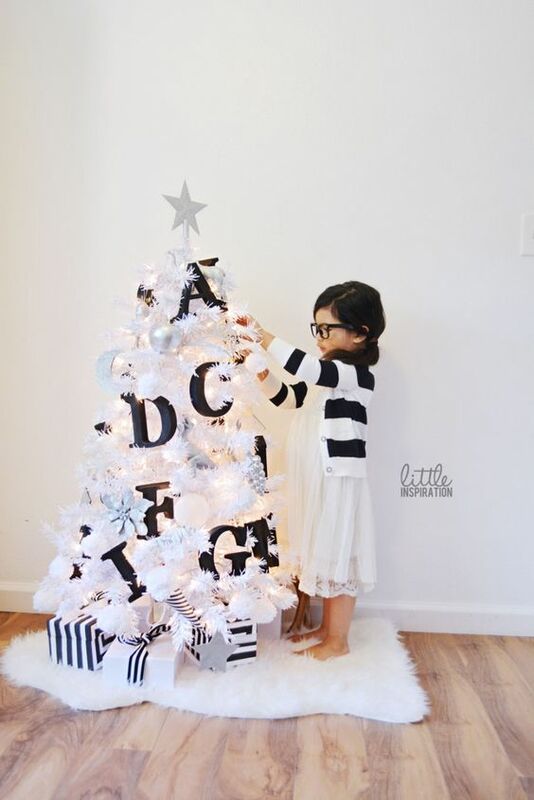 Enjoy the ideas below and decorate your own pure white tree!